Posted November 5, 2012 by AW & filed under Members Trees. 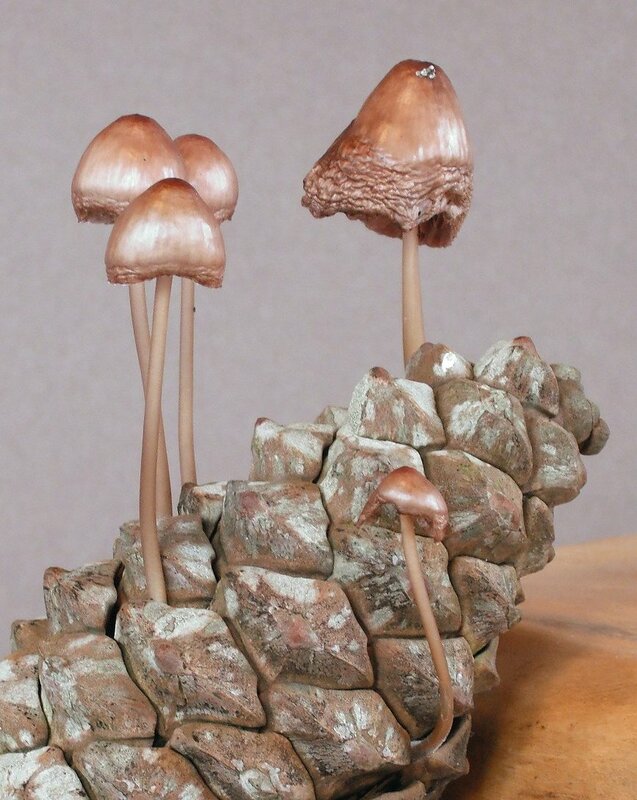 I posted this picture on a Bonsai forum and several members thought that they were bronze/metal toadstools that had been used. In fact, my wife collected some large fir cones and put them on the wall out in all weathers. 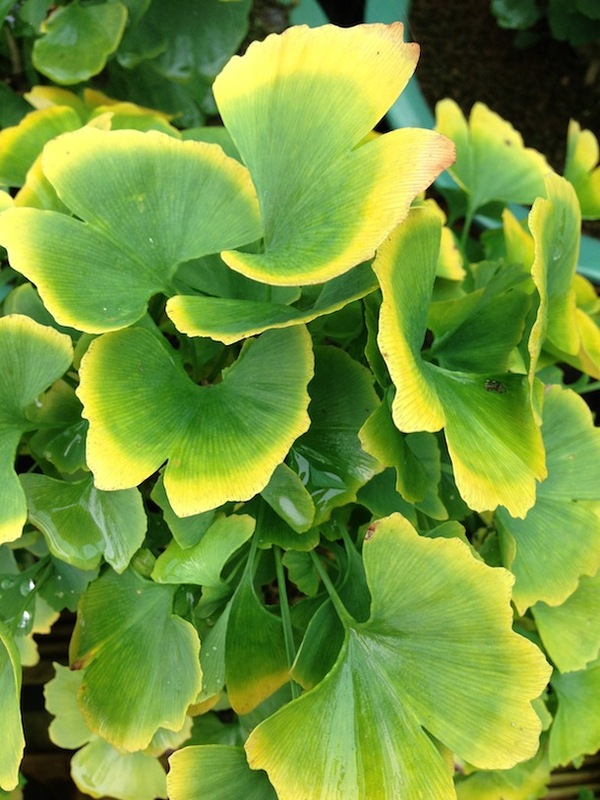 While wandering around the garden on a cold morning I came across this and couldn’t wait to photograph them. It is a shame that I couldn’t freeze them and then use as an accent. Posted November 5, 2012 by PB & filed under General Interest. 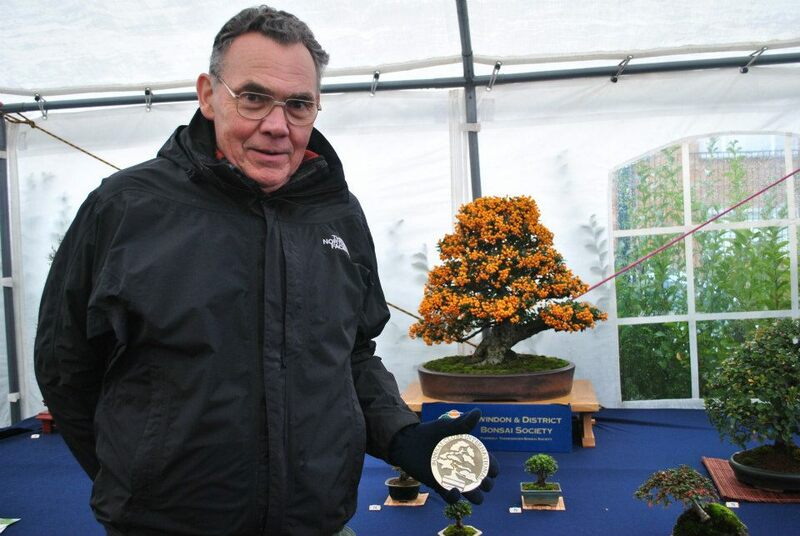 Congratulations to Mark and Ming for hosting their 3rd successful bonsai show today at The Barn, Heathrow, and despite the wet weather there was an excellent attendance from visiting clubs and societies displaying some gorgeous trees for everyone to enjoy and discuss. Posted November 4, 2012 by AW & filed under General Interest. 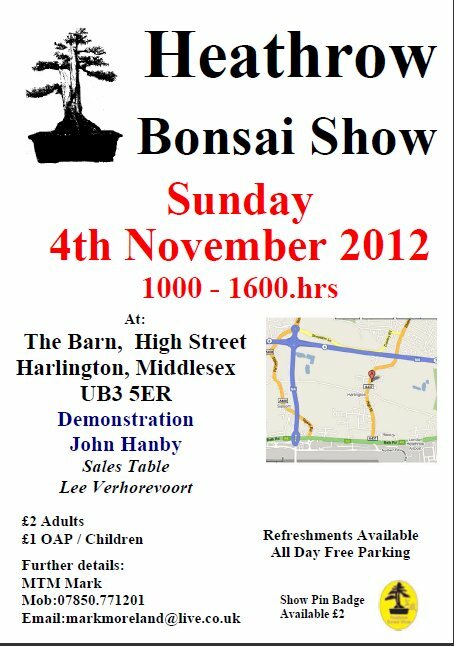 We look forward to seeing you all on Sunday 24th February 2013 and admiring your displays. Posted November 2, 2012 by RA & filed under Winter Show. Posted October 21, 2012 by PB & filed under General Interest. Posted October 14, 2012 by AW & filed under Show Reports. 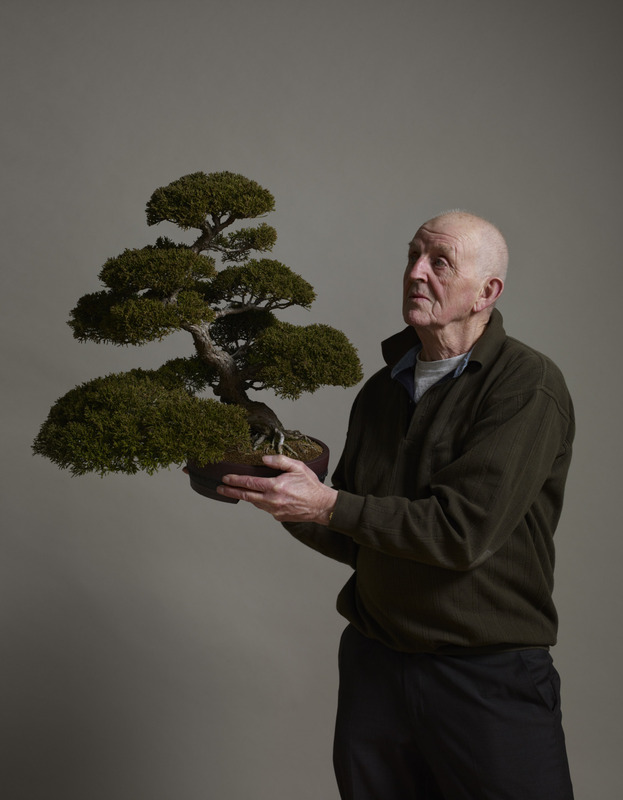 While browsing the internet, I came across more photo’s taken by Dan Burn-Forti from this years Winter Image show and thought that they should be linked through as they are of two of Swindon’s Bonsai Club members so all can see, so here they are. Posted October 10, 2012 by AW & filed under General Interest. 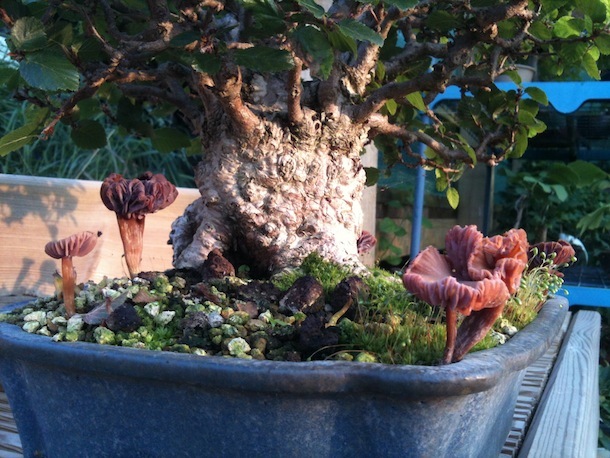 Recently I noticed some fungi show up on my Korean Hornbeam bonsai and I assumed they were a form of mycorrhiza fungi but was not 100% certain and whilst I was at the Arboricultural Association Conference at Reading I went to a great lecture by Ted Green who was discussing and sharing his ideas on mycorrhiza associations with tree roots. 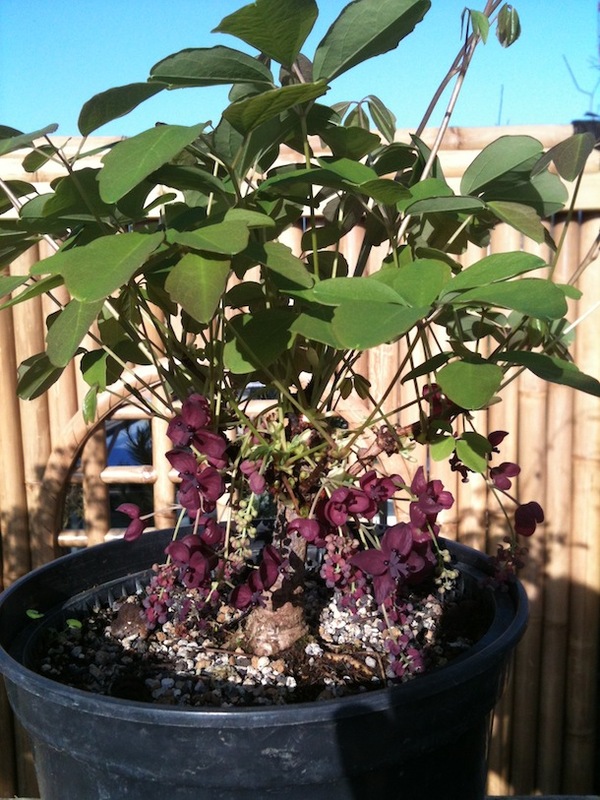 Posted October 10, 2012 by AW & filed under General Interest, Species. 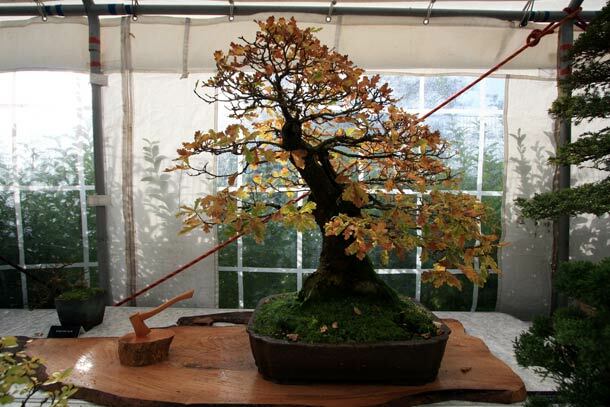 This year so far has not produced great growing conditions for some species of tree, whilst others have flourished. 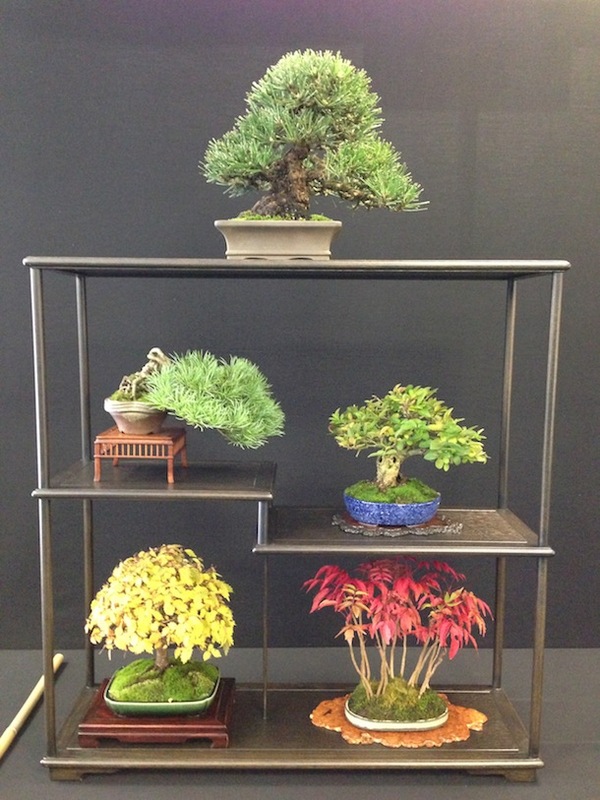 In particular Korean Hornbeams have not produced the same level of growth as last year.